Spam musubi, a slice of spam and rice wrapped in nori, has become an iconic Hawaiian dish. 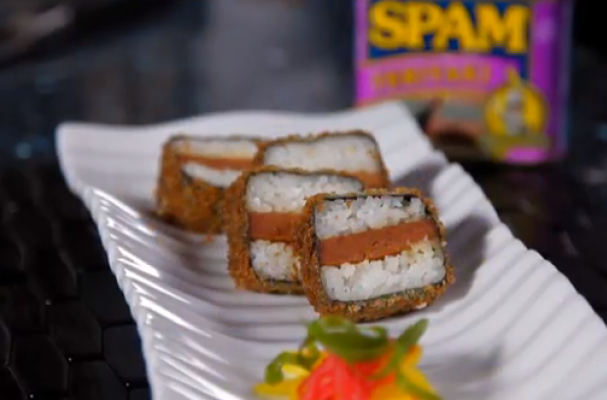 This recipe uses teriyaki flavored spam in the musubi and the entire bundle is breaded and deep fried. Serve this Hawaiian specialty with your favorite teriyaki sauce for dipping.